A video releas­ed by TTP seems to have put to rest debate­s about the fate of two men: Hakeem­ullah and Col Imam. ISLAMABAD: A video released by the Tehreek-e-Taliban Pakistan (TTP) seems to have put to rest debates about the fate of two men: One, the chief of the outlawed outfit, and two, of a former official of the Inter-Services Intelligence (ISI). US officials had claimed in January last year that the young TTP chief, Hakeemullah Mehsud, was killed along with 10 other militants in a drone attack in the North Waziristan tribal region. Though the TTP were quick to rubbish the reports, the Western media insisted that Hakeemullah was dead. There was no official confirmation of his death, however. 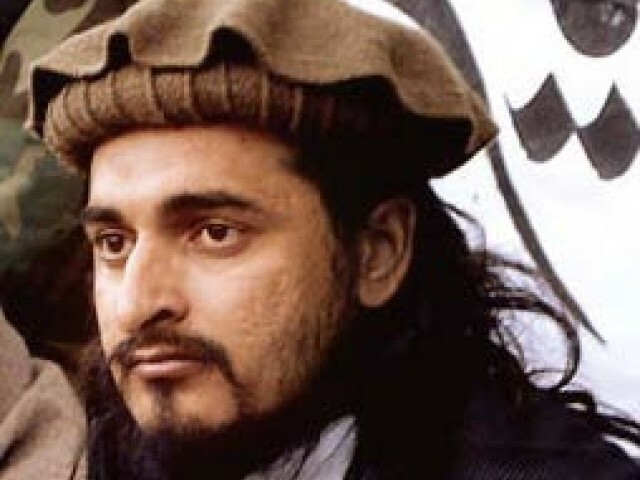 Hakeemullah Mehsud had taken over the dreaded TTP following the death of his cousin Baitullah Mehsud in a US missile strike in South Waziristan in August 2009. Hakeemullah went into hiding following reports of his death, providing grist for the rumour mills. However, the mystery was solved on Saturday when the Taliban released a video showing the execution of former ISI official Sultan Amir Tarar, commonly known as ‘Colonel Imam’. Clips from the undated video aired by Pakistani television channels show Hakeemullah, flanked by two armed men, standing behind Col Imam as he sat on the ground. “Col Imam is no more in this world,” TTP spokesperson Ahsanullah Ahsan, said in a message in the video, which apparently shows his execution. In the video, Hakeemullah said that all those collaborating with the Americans against Muslims would be killed. He said that the Taliban would continue their ‘jihad’ to defeat the Americans and their allies in Afghanistan. Col Imam, along with another former ISI official, Squadron Leader (retd) Khawaja Khalid, and British journalist Asad Qureshi, was seized by a hitherto unknown TTP-linked group – the Asian Tigers – while travelling in North Waziristan on March 26, 2010. Qureshi was released in September after paying a ransom of Rs20 million, while Khawaja was executed by his captors. Last month, there were reports that the captors had executed Col Imam after authorities turned down their demands. However, officials and family did not confirm the death. Again the TTP had claimed on Sunday last that Col Imam had died of cardiac arrest in captivity and made a pledge to release a video to prove their claim. But Imam’s family rejected the claim, saying that they were negotiating with the captors to secure his release. The captors were reportedly demanding Rs50 million besides the release of some of their associates currently in the custody of Pakistani security forces. Interestingly, former ISI chief Lt-Gen Hameed Gul is reluctant to trust the video. “It appears to be a drama,” he told The Express Tribune. He said he has spoken to Major Nauman, son of Col Imam, and told him not to offer Fateha for his father unless the execution is confirmed by independent sources. Published in The Express Tribune, February 20th, 2011. Sources say Col Imam sill alive and his family is negotiating with the captors to secure his release. Tehreek-i-Taliban Pakistan release video footage showing former ISI officer Sultan Amir Tarar. Officials refuse to confirm or deny the slaying of former ISI official. I would like to see the reaction of so called good taliban (afghan taliban lead by mullah omer), afghanis seems to declare themselves the “best” muslims on earth so they should know the status of teacher in Islam and we all know Col Imam was the teacher of mullah omer and hundreds of other talibans. Now i want to hear the reaction of mullah omer about mahsood, if no reaction comes then i am damm sure there is nothing good or bad taliban, its just a myth to create confusion in our minds, how could they link man like col imam to usa, this is just madness. @Tribal: Kindly cut your non-sense about your shall sow, shall you reap, are you telling me the the 3000 people killed in world center reaped what they sowed. Are you telling me that 300 people who were killed in Egypt 2 weeks ago reaped what they sowed. Are you telling me the that 6M jews killed by Hitler reaped what they sowed. This incident is further proof that the TTP terrorists have nothing to do with the Afghan Talibs. Why on earth would they kill someone that Mullah omar and others considered as a father figure? Why do we expect ‘normal’ murders from those who have been trained as ruthless mercenaries? In the name of Islam, in the name of strengthening Pakistan’s strategic interests, the like of Col. Tarar (alias Col. Imam) have nurtured an organic cancer that is lethal and self-destructive simultaneously. Taliban are dogs which are bring up on the bone of India & U.S.A.